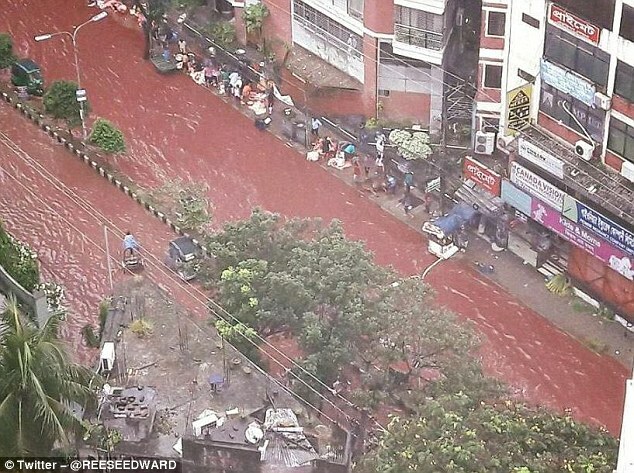 Huge swathes of animal sacrifices marking the Islamic festival Eid al-Adha turned the streets of Bangladesh's capital into rivers of blood. 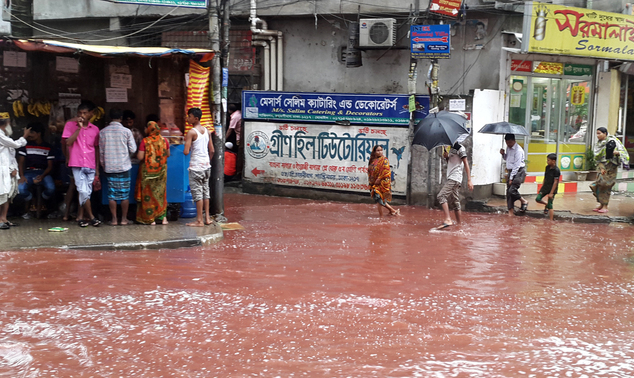 Authorities in Dhaka had designated areas in the city where residents could slaughter animals, but heavy downpours Tuesday rendered them out of action. 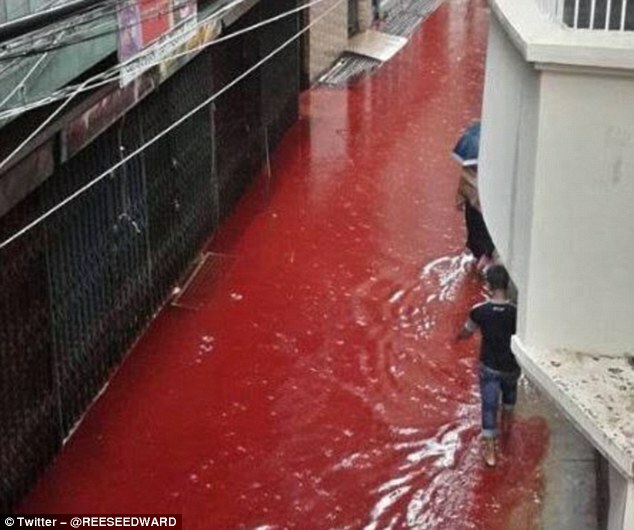 Instead, Muslims took to car parks, garages and alleyways to traditionally mark Eid al-Adha - or the Feast of Sacrifice - by slaughtering livestock and when the blood flowed into the streets, it turned them red. 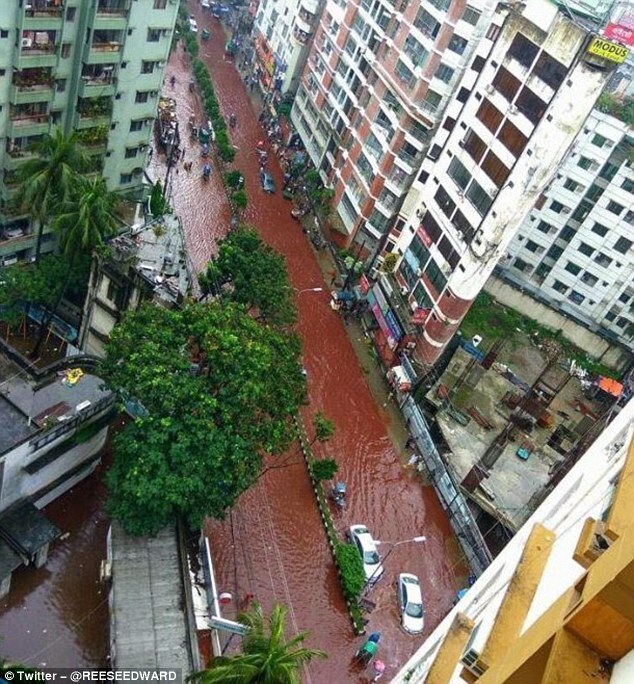 Flooding is common in Dhaka, an overcrowded city of more than 10 million people, because of poor drainage systems. 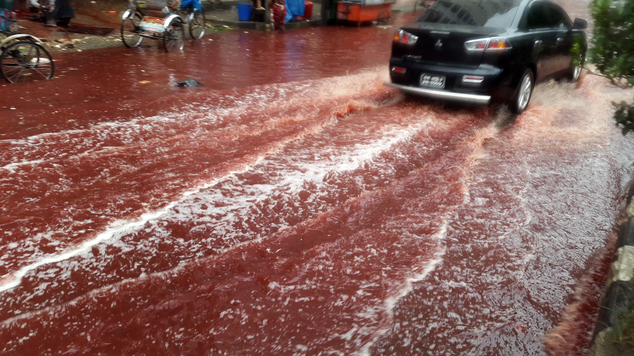 Usually a goat, sheep or a cow is killed to commemorate Prophet Ibrahim's test of faith at the festival. 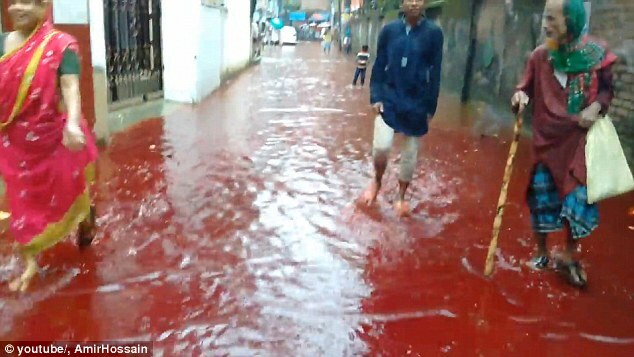 The meat of the sacrificed animals is shared among family and friends and poor people who cannot afford to sacrifice animals as a gesture of generosity to promote social harmony. This post was republished from dailymail.co.uk. You can find the original post here.